Each year in the Inland Bays watershed, as the snow melts and the temperatures begin to turn warm, CIB volunteers begin their preparations for two citizen science surveys! The Center’s Inshore Fish Survey tracks changes in the fish community with data spanning back seven years. Taking place between April and October, fish are collected at 16 sites around the Bays and their tributaries. Volunteers use 30-foot seine nets to collect fish (and sometimes other organisms! ), which are then counted, recorded, and put back into the water. The surveys cover various habitats ranging from the sandy coast at Coastal Kayak to the muddy bottom of Sandy Beach. The Bays themselves contain over 100 species of fish, about 40 species of shellfish, and at least another 100 species of invertebrates! Some common species, such as the Mummichog and the Silverside Minnow, are spotted at almost every habitat site. Others, including the Cownose Ray and the Lined Seahorse, are only spotted occasionally. — you never know what you might find! Horseshoe crab surveys are more predictable in that the same species are being studied, but the survey is no less important! Because the horseshoe crab is an over-harvested species, used in the medical industry for their special blood. Population data from these surveys can be used to manage the species and to set harvest limits. During this survey, volunteers visit six beaches around the Bays at the evening high tides, during the full and new moons of May and June. At each site, there are four counts taken: total crabs, total nesting females, total males, and total females. Both the Inshore Fish Survey and the Horseshoe Crab Survey are important tools for understanding populations in the Inland Bays. They can help inform harvest limits and best management practices, and they help to teach the community about the different types of aquatic organisms within the watershed. 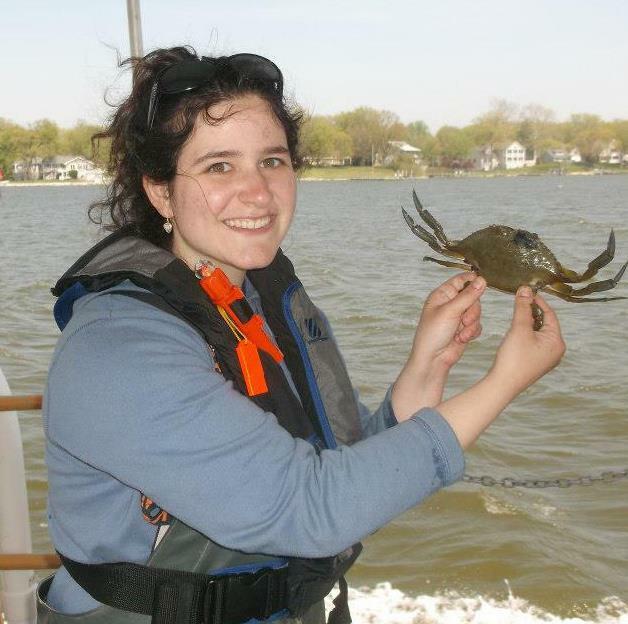 Angela is a volunteer from the Maryland side of the Bay Bridge who has been a frequent visitor to the Inland Bays watershed since she was a child. These visits inspired her to pursue interests in the aquatic biology world, leading to experiences at places around the country where she has gotten the opportunity to explore different watersheds around the country and learn about conservation and restoration techniques that are being used to improve the watershed for all types of flora and fauna. As a volunteer, she plans to use what she has learned to help do her part in restoring local watersheds for future generations to enjoy. In her free time, when she isn't found exploring the world of aquatic biology, she enjoys acting in musicals, running, reading, writing, and traveling to new places. 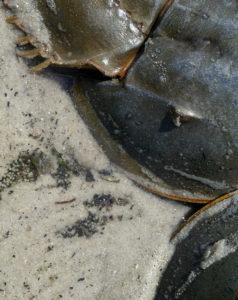 This entry was posted in Staff Blog and tagged citizen science, fish, guest blog, horseshoe crabs, volunteers. Bookmark the permalink.